Compact structure: machine height is medium,convenient to remove and change yarn. less floor space occupation improves rate of workshop utilization. Reasonable composition: air-duct and yarn through channel are assigned accurately, ensuring the nice appearance and convenient operation of the machine. Energy conservation: power demanded is 1/3 of imported Direct Cabling Machine. greatly reducing the power consumption of unit product. (single spindle environmental motor drive or belt collective drive. two types can be option ). Convenient adjustment: adopt flexible and stable inside and outer tensioner. It's convenient to adjust the tension. Simple operation: The design of pneumatic threading and hand brake for outer yarn reduces labor intensity and improve production efficiency. Direct Cabling Two-For-One Twisting Machine is applied to twist nylon, terylene, tyre cord yarn,various industrial yarn and carpet yarn. Note: Non-standard technical parameters should be agreed again. Looking for ideal Convenient Adjustment Direct Cabling Machine Manufacturer & supplier ? We have a wide selection at great prices to help you get creative. 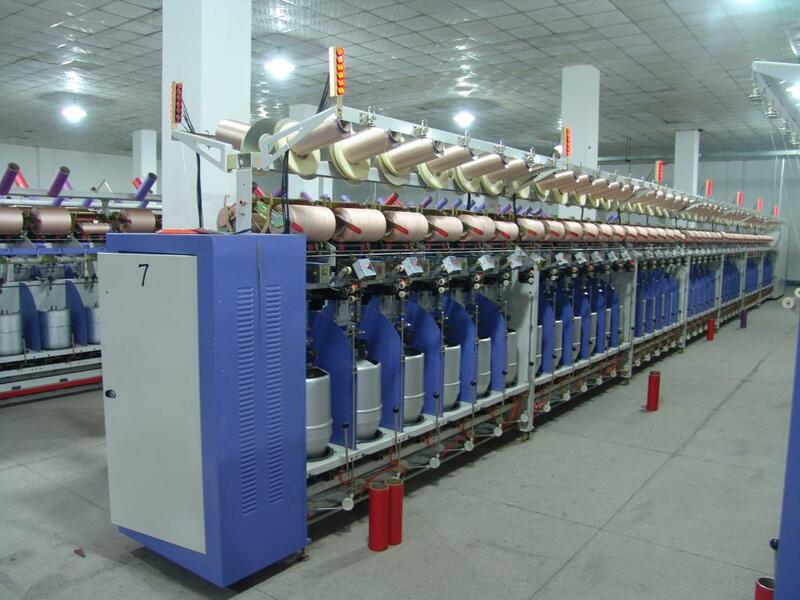 All the Tyre Cord Yarn Twister Machine are quality guaranteed. We are China Origin Factory of Double and Twister Machine. If you have any question, please feel free to contact us.